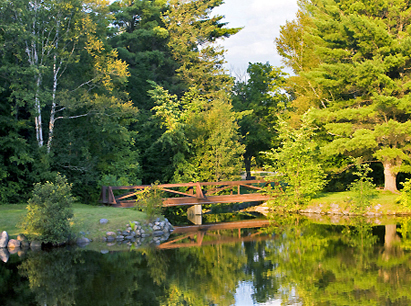 Escape to Gorham, New Hampshire! on your vacation... Spend it Here! Spend your vacation in the Gorham NH area, and you will find great value for your dollar and a friendly helpful atmosphere. 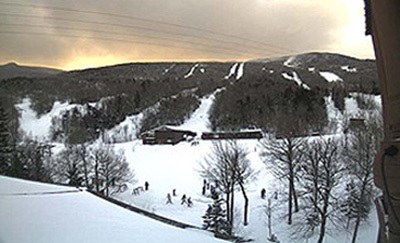 Still uncrowded and unspoiled by development, the area offers the best of both worlds. Here, the peaceful mountains surround you and you can still find all the conveniences and amenities you need at a reasonable price. Step into another world north of the “notch” where you’ll enjoy nearby family attractions, outdoor facilities, museums, plays and concerts. Here you can relax, unwind ... and forget the fast paced world you left behind... Stay longer, drive less! 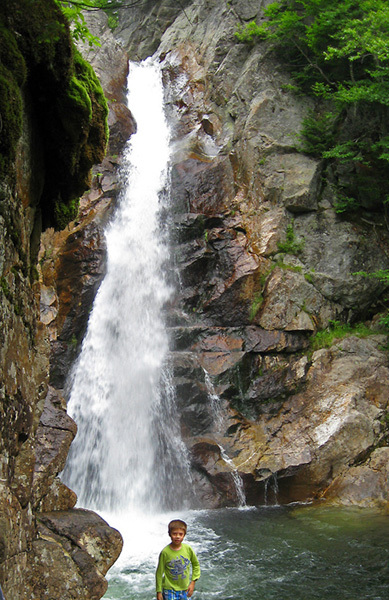 Surrounded by the spectacular White Mountains, Gorham is located on the north end of the Presidential Range. 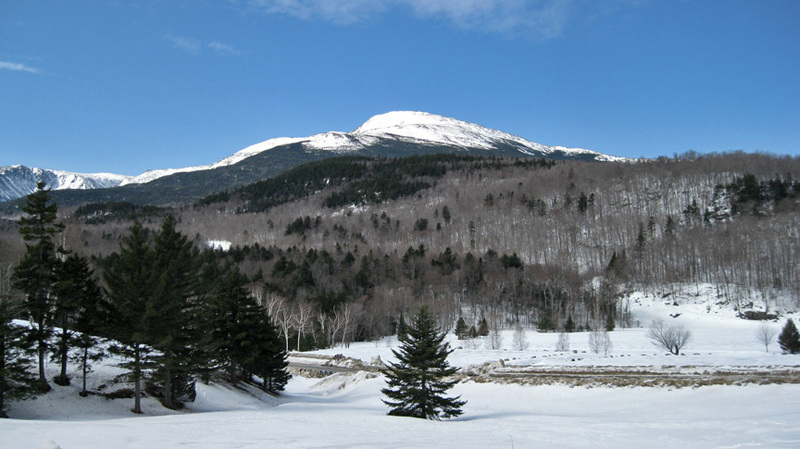 The center of this range is dominated by the highest mountain in the northeastern US, Mount Washington, and is only a scenic 10 minute drive south from town. Wherever you go, there are beautiful vistas at every turn. 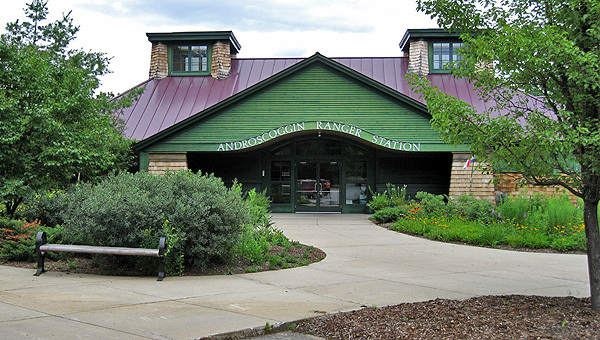 You can connect with snowmobile corridors or ATV Trails from right outside your door, or arrange a shuttle to your favorite hiking trail. 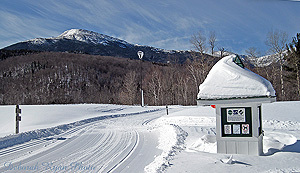 A 5 minute drive gets you to the USFS Visitor Center, and 5 minutes more takes you to the Appalachain Mountain Club Visitor Center, Wildcat Mountain or Great Glen Trails! With Mt. Washington at it's center, the Presidential Mountain Range is one of the most dramatic in the east. Reaching well above the treeline, the Appalachian Trail winds among these peaks, all named for former Presidents: Monroe, Franklin, Eisenhower, Washington, Clay, Jefferson, Adams, and Madison. 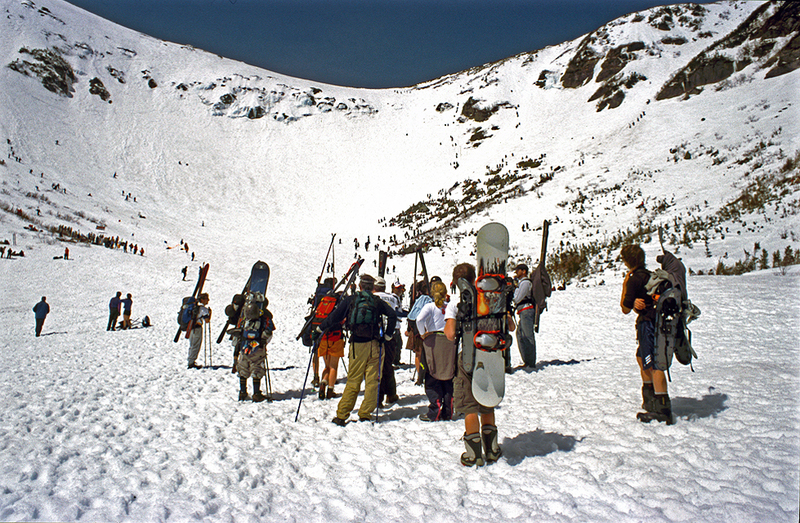 Tuckerman Ravine on the east side of Mt. Washington rises steeply from the timberline and gathers snow all winter. It is a favorite of skiers and snow boarders, who hike to the ravine into late spring when the snow is gone everywhere else. 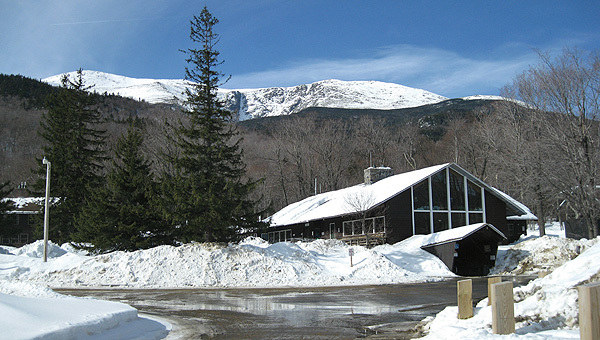 Every April the Friends of Tuckerman host a 5 stage race, the Tuckerman Inferno. High Huts of the White Mountains ~ This hiker is on the Appalachian Trail on Mt. Washington looking south across the southern Presidentials with Lake of the Clouds Hut in the distance. 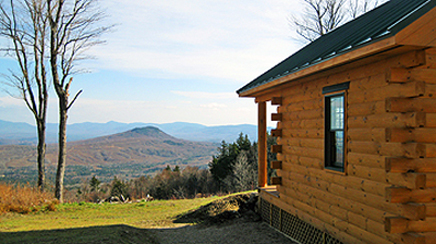 Owned and maintained by the Appalachian Mountain Club, the hut system is modeled after similar hostels in Europe, they are positioned about six to eight miles apart allowing thru-hikers to benefit from their services. The Imp Face - A natural rock outcropping that resembles an impish face. Visible from Dolly Copp Campground and accessible from the Imp Trail on Route 16. The Old Man of the Valley is yet another of New Hampshire's natural outcroppings that resembles the face of an Indian. It may be accessed from a short walk on a trail beginning on the south side of Route 2, near the Maine line in Shelburne, NH. 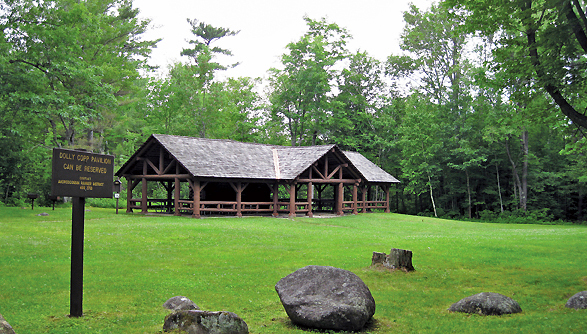 Dolly Copp Campground & Picnic Area - About 6 miles south of the town of Gorham on Route 16 by the Peabody River, this campground has quite a history and was once an old homestead. Primitive facitlites are available for tents and RV's, and the picnic pavillion is available to reserve for private affairs. The Peabody River ~ The Peabody River originates on Mt. 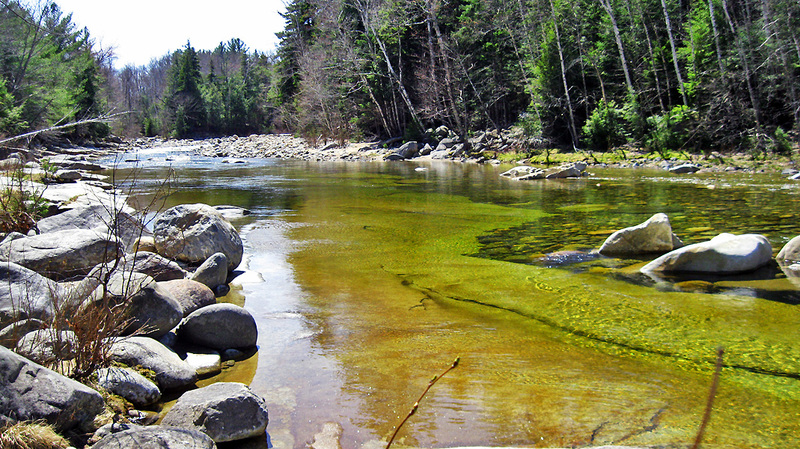 Washington and flows north along Route 16 to the Androscoggin River. Its pristine waters are a favorite for swimming and fishing. Glen Ellis Falls ~ This waterfall is part of the Ellis River and can be accessed from a designated parking area just south of the Appalachian Mountain Club. Here a trail leads thru a tunnel under the road and along the river to a steep drop with stairs. The falls can be viewed any time of year from an overlook and from the base. One of many in the area. 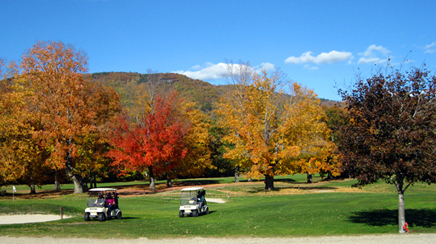 Androscoggin Valley Golf & Country Club - 18 Hole Scenic Course on Route 2 east end of the town of Gorham. 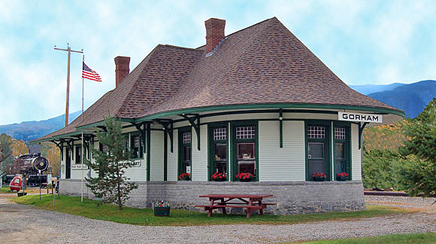 Gorham Historical Society & Railroad Museum ~ Railroad Street across from the Gorham Town Common. Tour the train and the museum, call for hours. 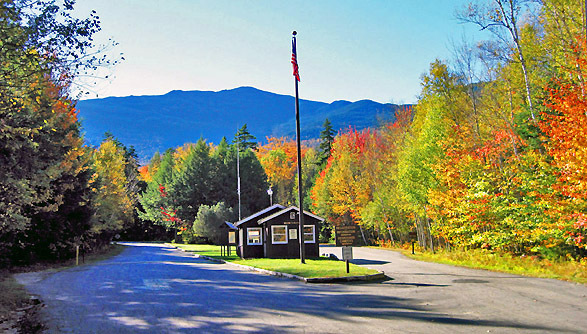 Jericho Mountain ATV Park ~ ATV trail network connecting with Ride the Wilds and the towns of Berln and Gorham where ATV's are allowed on Route 16 the Friday just prior to Memorial Day in May until the first Monday in November (folks can access the trails right on the highway). Features a warming hut and campground available near Jericho Lake. Annual Festival. Moose Brook State Park - State Park & Campground on the west end of Gorham. Mountain biking trails and access to Rails to Trails nearby. Medallion Opera House ~ Rennovated as part of the Gorham Town Hall restoration, and host to various performing arts, both local and professional. 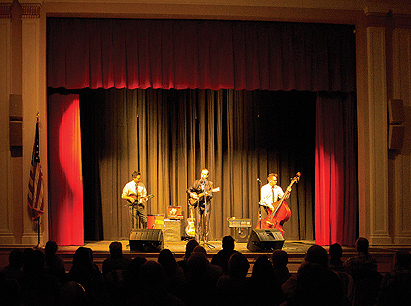 Many high-caliber musicians have enjoyed playing this quality small town venue. Rails to Trails - The local section of the national historic Rails to Trails, is called the Presidential Rail Trail It can be accessed from a parking area on Route 2, at the west end of Gorham, less than a mile west of the intersection of Routes 2 & 16. This 18 miles, has some of the best views and connects with snowmobile corridors and ATV trails. Our Towns . Recreation . Railroad Museum . Medallion Opera House . Lodging . Dining . Shopping . Website Design & Hosting by Moriah Design Agency, LLC.